found this, : 90Mbs data rate SD card. I tested that type card out and at least on the hacked gh2s, the sandisk is the best way to go, sandisk extreme pro being the very best and sandisk extreme hd video also being good. This pana card costs twice as much as is a bit slower actually. You are definitely better off with a faster and cheaper extreme pro card. But one other thing with the gh13, I noticed the pana gold cards were the most stable. More than pny cards, or the sandisk extreme cards even. 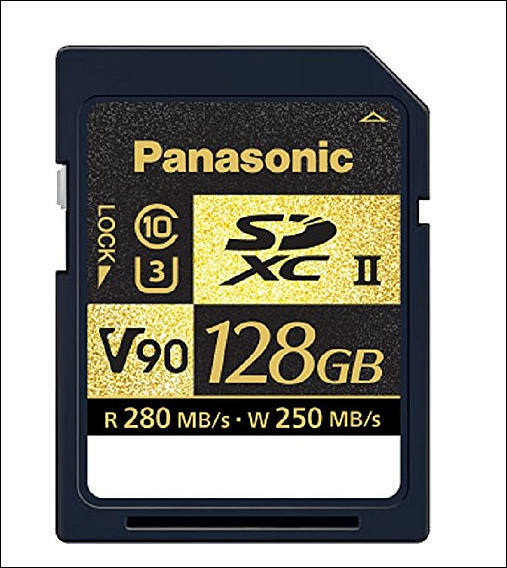 It is odd since the sandisk cards are literally faster at writing but for whatever reason the most stable cards with the lowest chance of a freeze were the golden pana cards. Again that is only for the gh13. In the gh23 its definitely sandisk cards all the way. Good info to know, nearly bought one of those panny cards. Bloody expensive. Transcend Class 10 cards offer the best price-performance for me. I buy them for 38 EURO (32GB) compared to 65 EURO for the SanDisk HD Video 30MB/sec cards. Most of the settings are working for me (including @CBrandin 32M-44M-66M, @Driftwood 132M GOP 3, @Driftwood 240M GOP1). I only had problem with 88M GOP12 AQ4. I haven't tested the latest AQ2/3 88M settings. Will try to do that tonight.